MaxiCABooking SG is your ultimate one stop source for all your event transportation needs. Having a dedicated team committed to helping you celebrate your life’s, company’s or event biggest moments. From planning to coordinating to execution, our team of event specialists are here to help you every step of the way. Our event specialist at MaxiCABooking SG are also committed to helping you find the best fit your event vision and budget. We believe that your event is our reputation, and making your event dreams come true is our top priority. We’re not satisfied until you’re thrilled – that is our promise to you. · Booking and Payment Protection – All bookings and payment made online are secured and reinforced. Our customer support and finance team will be available to follow up on your bookings and needs. · Hands on Dedicated Event Specialist – For major events – Our dedicated Account Specialists are just an email, SMS, WhatsApp or phone call away! 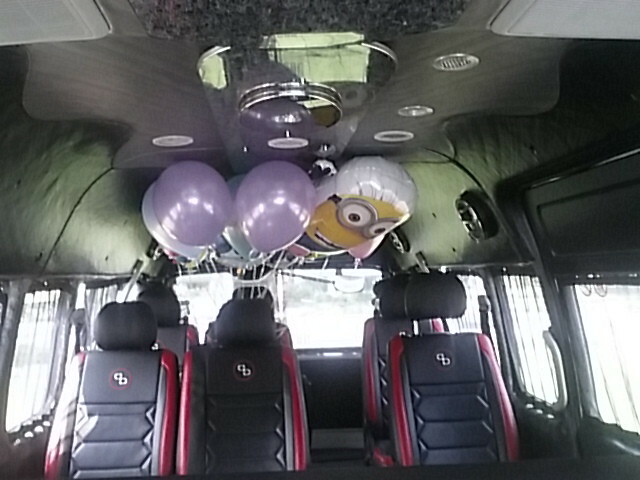 We ensure you that our experienced team will help you plan all your transportation needs for your special event, from our normal 6 seaters to 44 seater transfers to our WILD 13 seater party buses! We’ll indulge your every wish! Decked with experiences from many different avenues from personal – birthday parties, bachelor and bachelorette parties and weddings to corporate and major events – concerts, sporting events, music events, conventions and more, MaxiCABooking SG is definitely your one stop source for all your event transportation needs! Whether you are planning a Child’s Birthday Party, a Sweet 16, or a 21st our experienced event specialist will be able to suggest appropriate type of vehicles, make reservations and even arrange for VIP treatment for your guest to ensure that you will be the talk of the town for providing the best party ever. 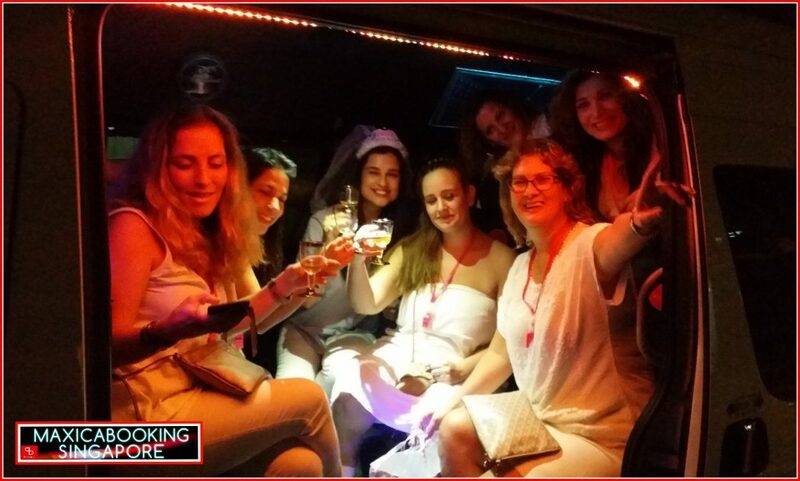 Bachelor and Bachelorette Parties are always more fun on a Party Bus! Keep a look out for our party buses – decked with excellent sound system, plush interiors, laser lightings, smoke machines and many more – our party buses are definitely the hot favourite. Who says that party buses are not suitable for weddings? Party buses for Weddings is gaining on its popularity polls. Not just for the luxury, elegance and style of these buses but also for the comfort and practicality of the number of people we can transport together. It is so much more comfortable and fun to be able get in the mood before the party and definitely more going to the after party! Taking a party bus to a Concert or Sporting Event is also the only way to go! Bring your beverages and food on board and party all the way to the venue! With all these options available – why wait? All you have to do is to reach out to us to start the enquiry process and assist you in the planning. Our event speciallist team are available up to 15 hours daily and most importantly they are just a call / whatsapp or email away to assist you. We at MaxiCABooking SG am looking forward to be of service to you. 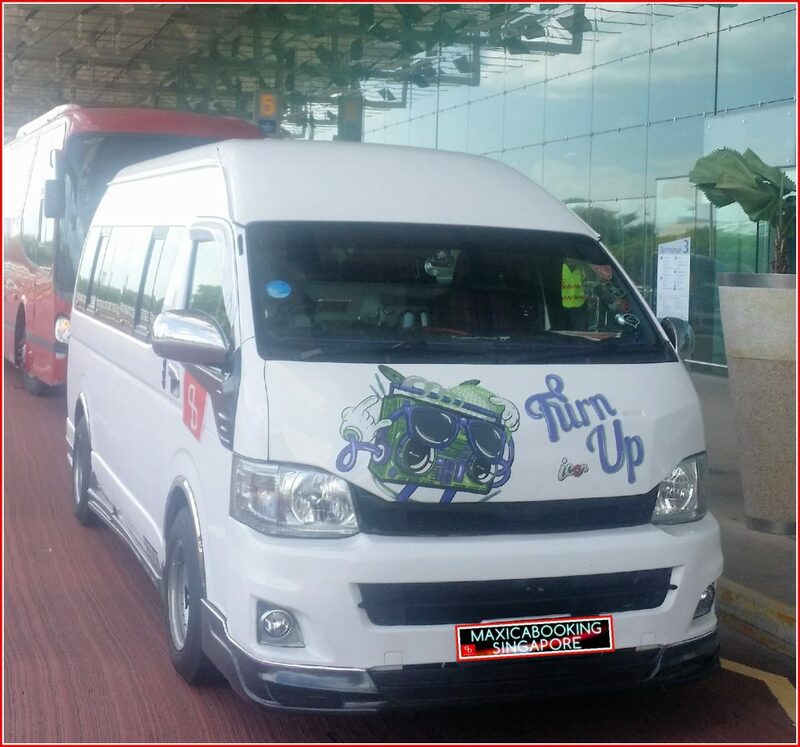 This entry was posted in Maxi CAB Services and tagged 13 seater mini bus, 23 seater bus, 45 seater bus, 6 seater maxi cab, 7 seater maxi taxi, maxi cab, maxi cab 13 seater, maxi cab 7 seater, maxi cab 9 seater, maxi cab booking, maxi cab booking singapore, maxicab, mini bus 13 seater, party bus, party bus 13 seater. Bookmark the permalink.